‘In this remarkable and luminous book, Izod and Dovalis reveal something never previously so urgently expressed about cinema and psyche; that the study of one needs the study of the other, if the modern soul is not to suffer serious neglect. Cinema as Therapy: grief and transformational film traces in works as diverse as Million Dollar Baby, Krzysztof Kieslowski’s Trois Couleurs trilogy and Tree of Life, patterns that invoke deep psychic structures to confront the paralysing human condition of grief, loss and death. 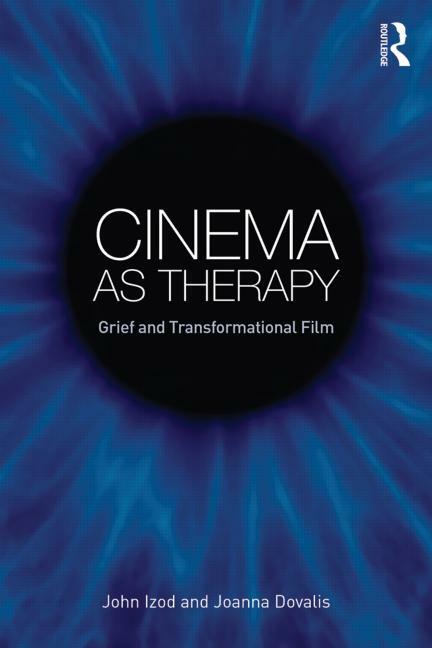 The result is a book that shows film as a necessary processing of trauma into transformation; film leads us to the sacred and to becoming whole.’ - Susan Rowland PhD, Pacifica Graduate Institute, USA. ‘Izod and Dovalis sensitively detail the capacity of film to reveal the displacement and repression of grief, the isolation of loss, and the various stages of surrendering the loved object. In Cinema as Therapy we engage with those who inhabit the liminal spaces of grieving and memory – we follow their submission and emergence. This is a book for those who appreciate how screen stories can tap into both our deepest uncertainties and the resilience that protectively shadows us.’ - Terrie Waddell, La Trobe University, Australia. Introduction. Part One. Birth. Tsotsi. Million Dollar Baby. Part 2. Trois Couleurs: Bleu. Trois Couleurs: Blanc. Trois Couleurs: Rouge. Part 3. The Son’s Room. Spring, Summer, Autumn, Winter…and Spring. Morvern Callar. Approaching the Tree of Life. The Tree of Life. Envoi. Glossary. References. Index. John Izod is Emeritus Professor of screen analysis at the University of Stirling. He has published several books, including Screen, Culture, Psyche: A Post-Jungian Approach to Working with the Audience (Routledge). Joanna Dovalis is a marriage and family therapist with a doctorate in clinical psychology, specialising in grief work. She works in private practice in southern California, USA.